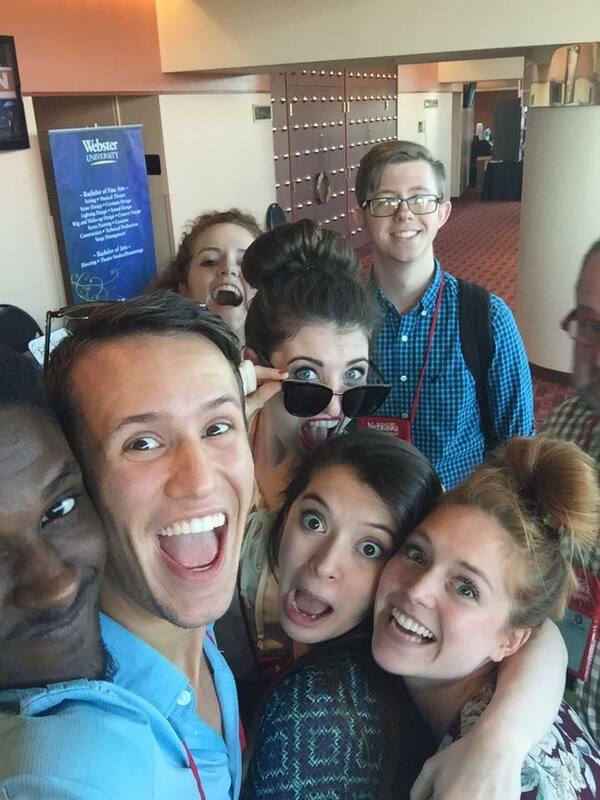 Webster Conservatory of Theatre Arts | and sure stars shining . . .
My Webster University Conservatory of Theatre Arts musical theatre majors joined me at home on Sunday evening for some holiday merriment. L-R: Phil, Magnus, Will, Sarah, Nate, Cecily, Ben, Noah, Jacob. The menu included my homemade hot pepper jelly with cream cheese and wheat crackers; homemade banana bread; Brie and smoked Cheddar; vegetarian baby quiches; and a spiced cranberry punch. And a good time was had by all. I miss these kids whilst I’m on sabbatical. 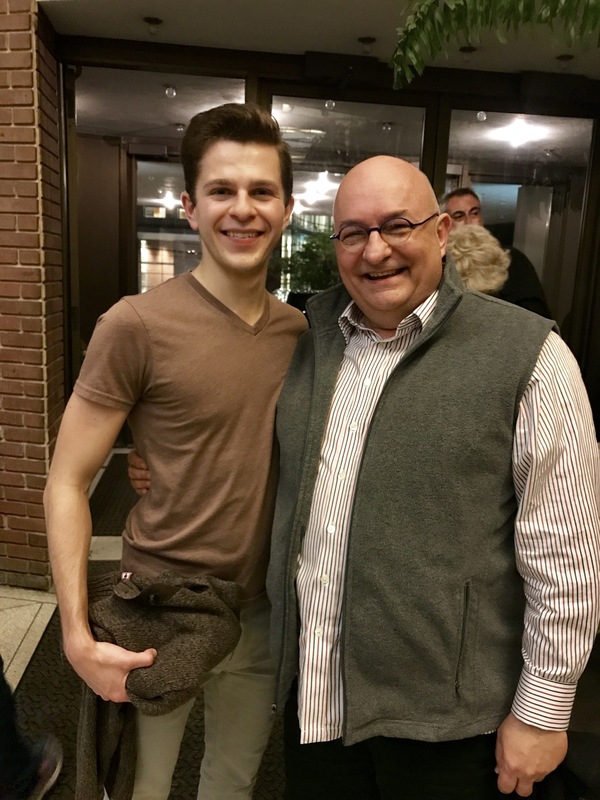 This entry was posted in Webster and tagged voice students, Webster Conservatory of Theatre Arts on December 10, 2018 by Jeffrey Carter. Brigadoon was the first Golden Era musical I ever music-directed, and it holds a special place in my heart. And this production was lavish to view and lovingly sung. 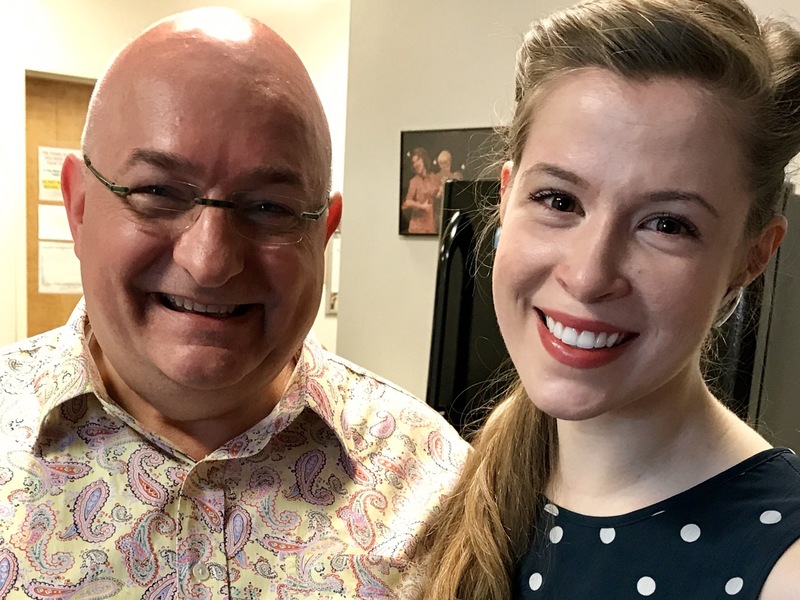 This entry was posted in Daily Life, Musical Theatre, Shows, Webster and tagged brigadoon, voice students, Webster Conservatory of Theatre Arts on April 22, 2018 by Jeffrey Carter. I made the offer a few weeks ago. And several students took me up this weekend. I need to work on my portrait photography, and several sophomores in the Webster University Conservatory of Theatre Arts needed headshots. Why not offer a free photo shoot, so that I could get some practice and they could (I hope) get some decent shots? I’ll have these three in MUSC 2910 Applied Musicianship for Musical Theatre this semester, and get to witness these glorious talents three times a week. This entry was posted in Photography for fun, Webster and tagged head shots, photography, Webster Conservatory of Theatre Arts on August 29, 2017 by Jeffrey Carter. I’m having a hard time visualizing next year without them. 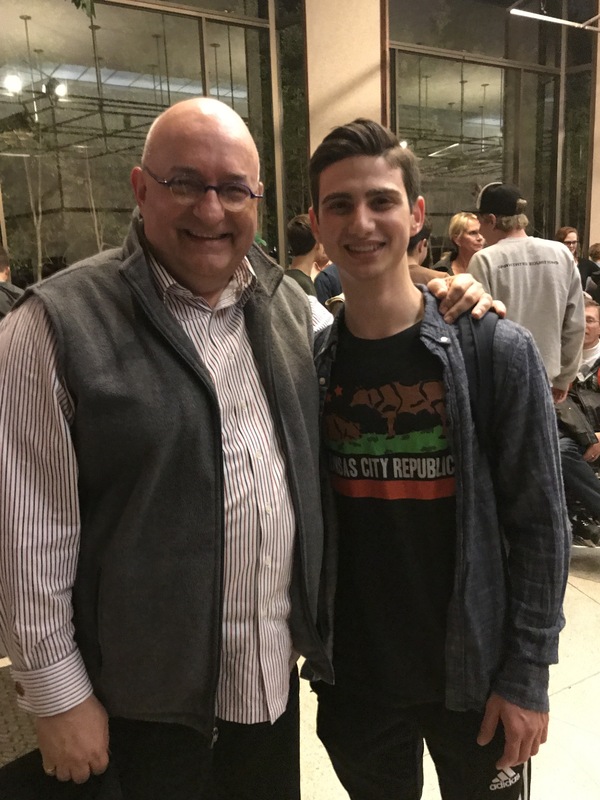 This entry was posted in Webster and tagged voice lessons, voice students, Webster Conservatory of Theatre Arts, Webster University Department of Music on May 10, 2017 by Jeffrey Carter. I’m an incredibly proud teacher this weekend. Five of my Webster University voice students are in The Drowsy Chaperone at the Webster University Conservatory of Theatre Arts. I saw the show again Friday night, and will it again on Sunday. Tonight I sat with the parents of my senior Jacob Scott; visited with the parents of my senior Chase Thomaston; and finally met the parents of my sophomore Jacob Flekier. Caroline Adams’ parents were also in the house, although I did not get a chance to say hello. Yesterday I posted a photo of me with Chase. Today’s photos are with the Jacob the Elder and Jacob the Younger (top photo). 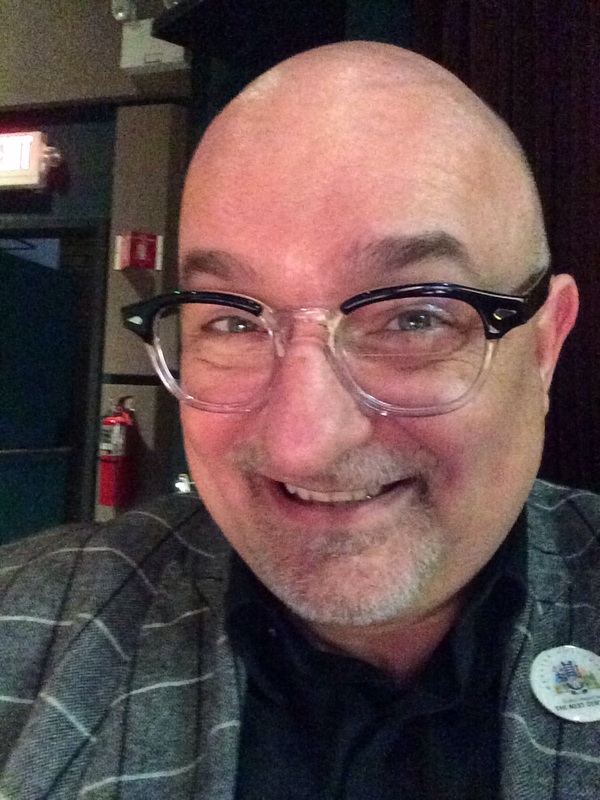 This entry was posted in Musical Theatre, Shows, Webster and tagged The Drowsy Chaperone, Webster Conservatory of Theatre Arts, webster university on April 22, 2017 by Jeffrey Carter. 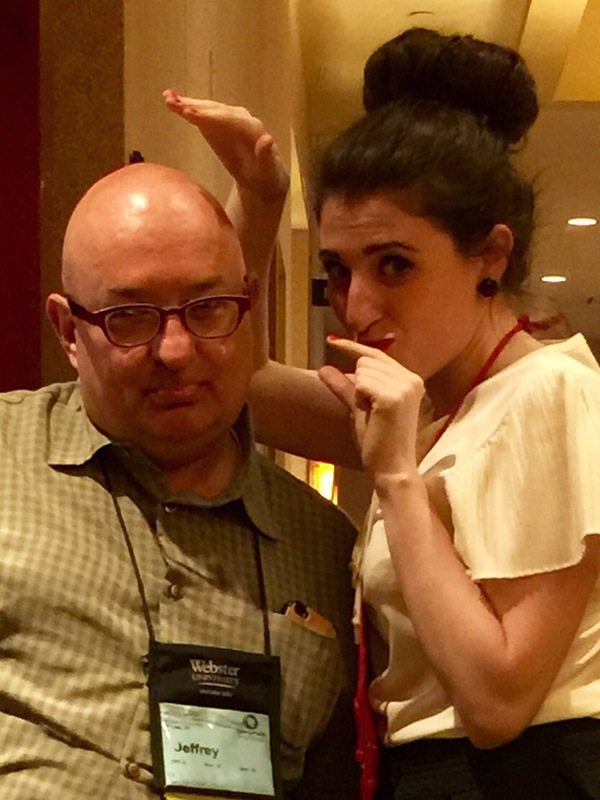 What I did last week . . . .
International Thespian Society Festival 2015. Student recruiting. Being a teacher and coach. Dusk from my hotel room. 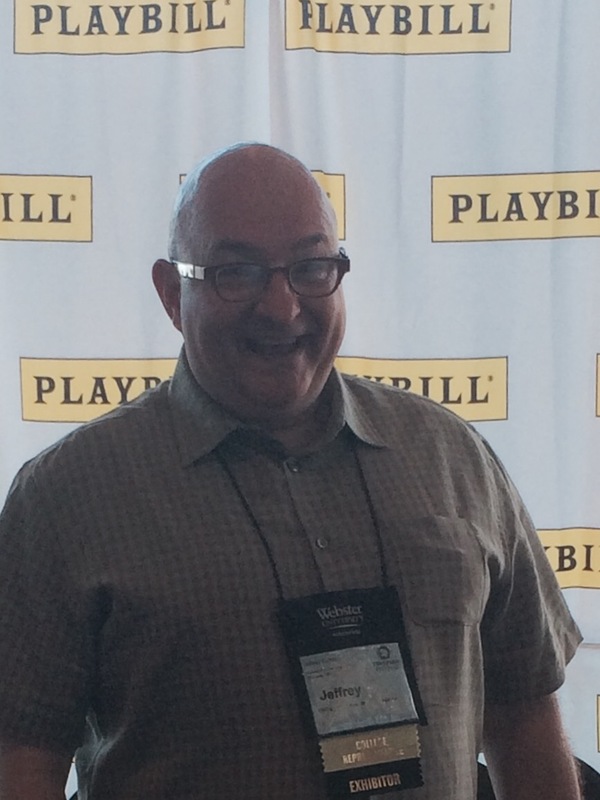 This entry was posted in Webster and tagged Thespians, University of Nebraska, Webster Conservatory of Theatre Arts on June 28, 2015 by Jeffrey Carter. Prior to the last performance of JERRY SPRINGER. The long month of theatre is over. I have a week to recover, but this week includes theatre of Holy Week and all of its passion and glory. February was a cruel month of hyper-drive activity. March has been a month of hyper-theatre. We had 12 performances of Jerry Springer: The Opera; the show closed last evening. I went to NYC and caught performances there. I attended two shows at the Webster Conservatory of Theatre Arts, including Honk! yesterday where my insanely talented and gosh-can-he-hold-the-stage student Jacob Scott had a starring role. 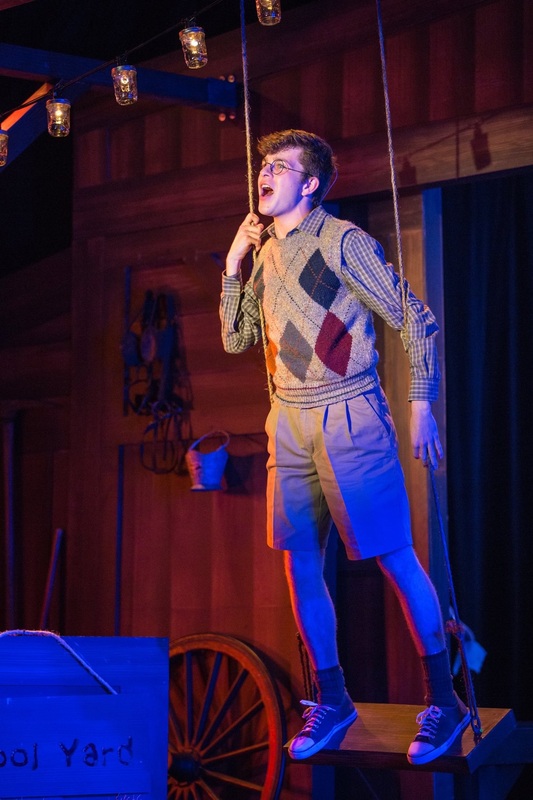 Jacob Coray Scott in HONK! And earlier this week I saw the season-closer show at the Repertory Theatre of Saint Louis. 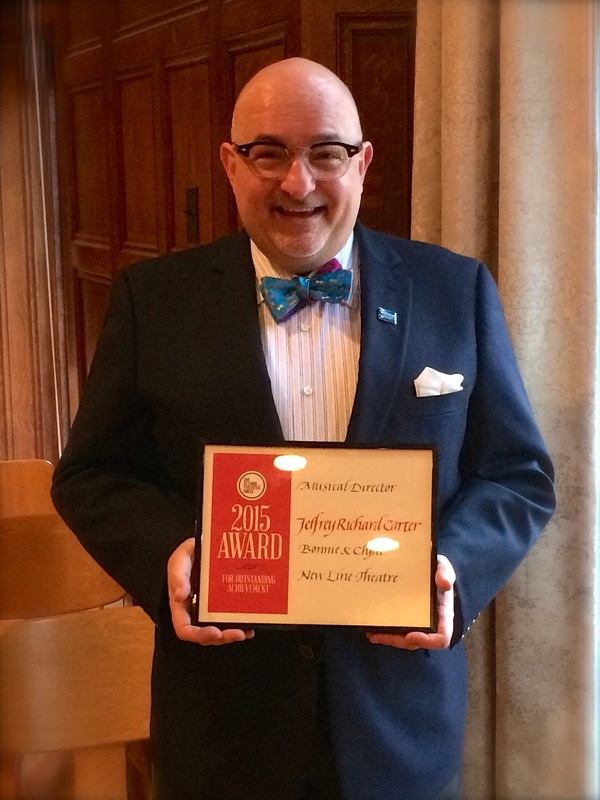 And received that little award on Monday (something I still have a hard time believing . . . .). Let’s add to that some theatrical music performances too, including the Hans Gabor Belvedere Singing Competition prelims we hosted yesterday at Webster, and some regular Thursday recitals, and Bob Chamberlin’s divine last lecture he gave ten days ago. And choral and orchestral concerts. So Holy Week waits. I’ll see one more show on April 1. And then the next New Line show starts rehearsing on Easter Monday. 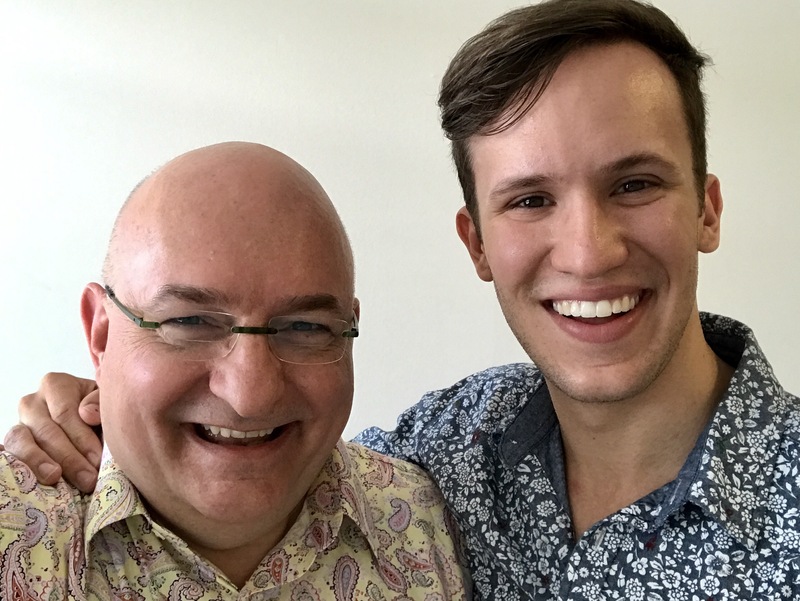 Three days later I have the premiere of some new vocal music, sung on his senior recital by James Stevens. April promises plenty of gifts as well. 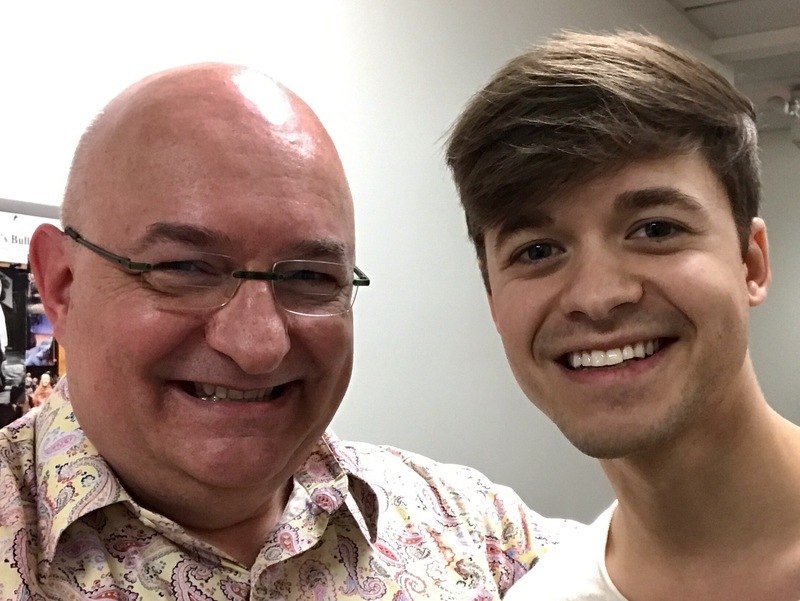 This entry was posted in Daily Life, Musical Theatre, Shows, Webster and tagged Jacob Coray Scott, Jerry Springer, Webster Conservatory of Theatre Arts on March 29, 2015 by Jeffrey Carter.